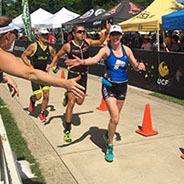 Tiffany Has been coaching with Multisport Performance (MSP) as a USAT Level 1 coach since 2016 and has over 11 years of experience as an endurance athlete. 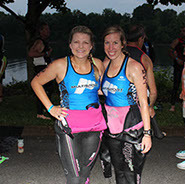 Tiffany is passionate about the individuality of the sport of triathlon As well the camaraderie and team aspect that Msp offers. She inspires and works with athletes of all levels to build confidence, achieve aspirations, and find success in endurance training and racing. Tiffany’s passion is watching athletes achieve their greatest levels of success through communication, planning, and implementation. Her expertise is working closely with athletes to build personalized, tailored training plans that fit within the context of their lives, no matter how busy! Families, careers, and training are important--Tiffany will help design and put into action a personalized training plan that is right for you. *Tiffany has coached multiple athletes to ironman, 70.3, Olympic, sprint, Marathon and 1/2 marathon finish Lines and podiums.